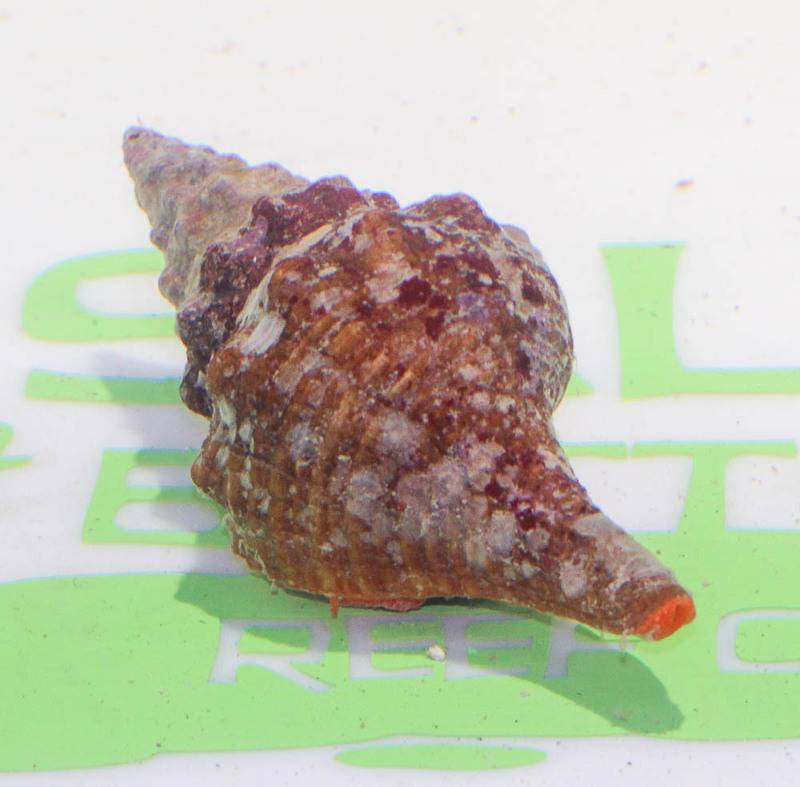 The Horse Conch is the largest gastropod in the Gulf of Mexico. It has a pointed shell and a huge orange foot making it a striking demonstration piece. Shell may be encrusted with a variety of worms, barnacles and bryozoans. Does not feed on clams, but feeds on other carnivorous gastropods.